The discussion was part of a broader effort to support the passage of the Liberia Land Rights Bill. It brought together the perspectives of researchers, particularly those associated with land reforms in developing countries, international organizations, government officials, elders, practitioners and local Civil Society Organizations (CSOs) on the Bill. 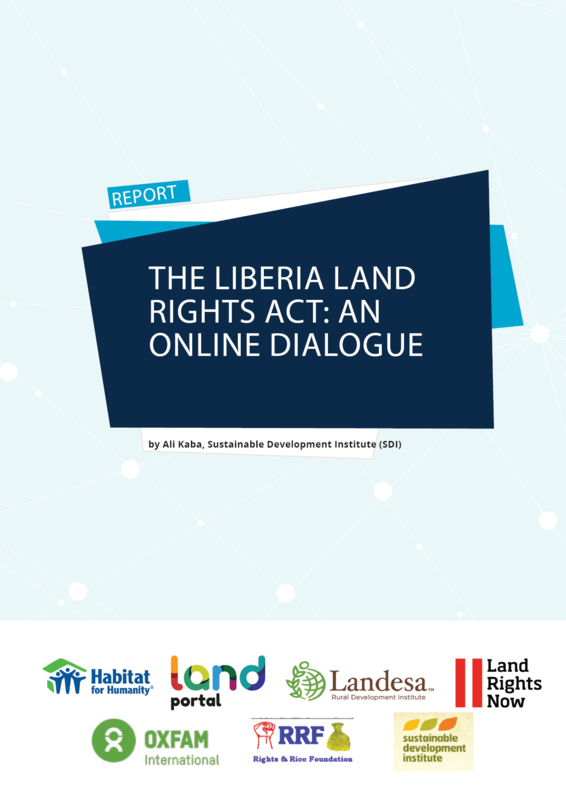 The Land Rights Bill (LRB) of Liberia was first developed in 2014 but lingered in the corridors of the legislature for more than four years and underwent several changes. Over the mentioned period, the Legislators conducted multiple private and public consultations and held a couple of public hearings. These interventions resulted into significant changes to the LRB and in 2017 a version of the Bill was passed by the House of Representatives. However, according to Liberian Civil Society and community members, the version of the Bill passed by the House was a dramatic departure from the Land Rights Policy (LRP) and significantly waters down provisions designed to protect customary land rights. At the international level, the Land Rights Now campaign and local CSOs published an issue brief with several recommendations for reforming the LRB. In an attempt to address the impasse, the discussion focused on key contentious provisions of the Bill. Fifty seven people participated in the discussion that resulted into 77 comments, including those from the two facilitators. A majority of the participants were Liberians. Since the beginning of the July 2018, more than 1080 people had visited the discussion, and there have been more than 1,700 page views.